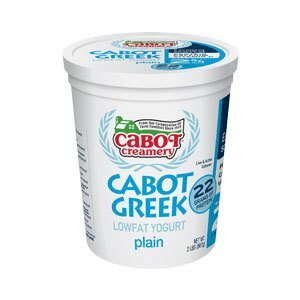 Enjoy classic bacon mac and cheese flavor in a cool summer salad with this simple recipe from Cabot. You can let everyone personalize each portion by serving it with small bowls of fresh salad toppings – green onions, Italian parsley, fresh basil, raw fresh corn kernels, diced tomatoes, diced bell peppers and sliced romaine lettuce. This is a cool way to savor the flavor of macaroni and cheese on a sizzling summer day. It even comes with the requisite crispy crumb topping. The basic recipe will appeal to everyone, but it's fun to add small bowls of our suggested “extras” to customize each serving. Get more mac and cheese makeovers today! HEAT oil in large skillet over medium heat. Add breadcrumbs and stir and shake in pan until golden, about 1 ½ minutes; immediately scrape into small bowl and set aside. ADD bacon to skillet and cook until crisp; transfer to paper towels to drain, then crumble or chop and set aside. PREPARE in large pot of boiling salted water, cook macaroni according to package directions until just tender. Drain and rinse under cold water until cool. 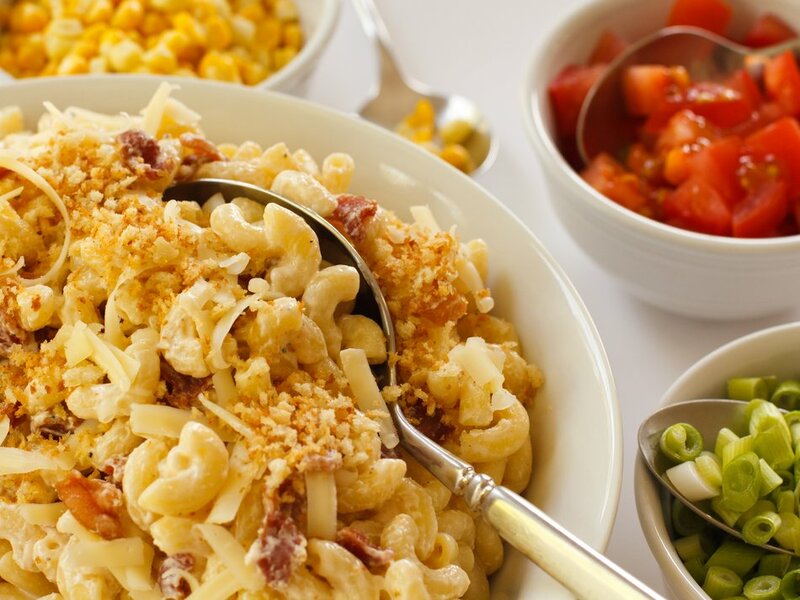 TOSS together in a large bowl macaroni, cheddar dressing and reserved bacon in large bowl, mixing well. 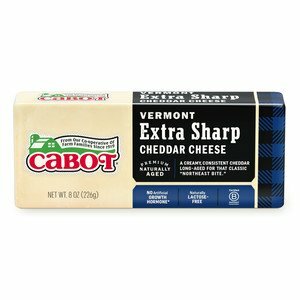 Serve topped with additional cheese and reserved toasted breadcrumbs. Surround with bowls of optional extras as desired. I made 2x the dressing because I know how pasta soaks up the dressing—had ample leftover but better more than not enough. I added chopped fresh jalapeño to the green bell pepper. My family loved that we could mix whatever veggies we wanted. We will definitely have this again! Ok, I didn't follow directions and used plain cheddar cheese. 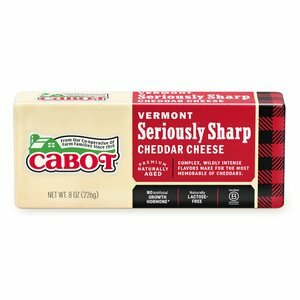 It did not taste cheesy at all, and had a strong vinegar taste. I think I might experiment more with this recipe. 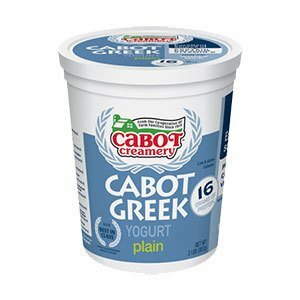 I was thinking of a more creamy, cheesy sauce. It just was not what I expected. Fabulous; easy to make; everyone loved it. There is not enough liquid in this recipe to get the consistency of mayonnaise after adding cheese. I recommend a food processor and 1/2-3/4 cup milk,half and half, or stock to bring this together. We enjoyed the recipe after tweaking.